We were fortunate that both our Virgin Australia domestic flights arrived and departed Darwin Airport in the early afternoon. Actually, it was more good planning than good luck. I did glance briefly at the red-eye and then quickly avoided it like the plague. Darwin International Airport (DRW) is located in the suburb of Marrara, 8klms north of Darwin City. Darwin Airport is the Northern Territory’s busiest airport and handles both international and domestic flights from the same terminal. DRW is open 24 hours a day, 7 days a week and moves approx. 2.2 million passengers a year. Arriving in the afternoon really opened up our options for Darwin Airport transfers. During my research I found 8 viable options for visitors to the top end to get from Darwin Airport to the city. Whether you are on a tight budget or have cash to splash, there is sure to be an option below to suit your needs. By far the most convenient way to make your way from Darwin Airport into the city is to catch a taxi. 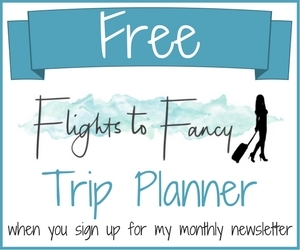 There is nothing to book and no planning required. Simply wander out of the airport, find the rank directly in front of the terminal building and you are golden. 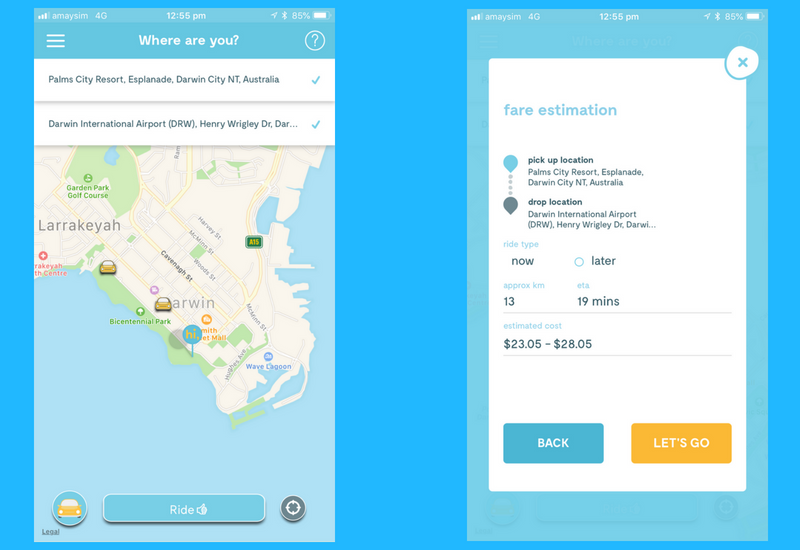 My research indicated that the cost of the fare into Darwin City would set us back between $25 – $30 and the trip would take about 20 minutes. 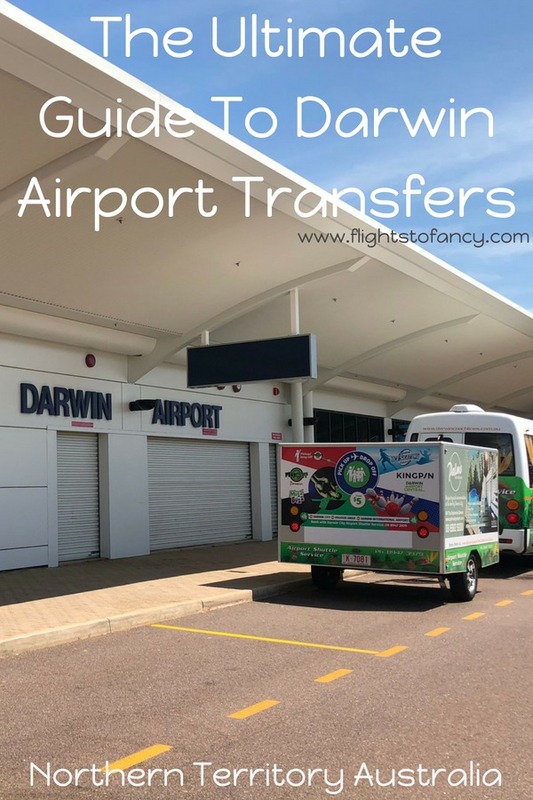 We chose Darwin taxis on arrival as I was reluctant to lock in a non-refundable transfer as there was a very real chance that we would miss one or both of our northbound flights. The Hubs finished work at 6am after a night shift on the day of our departure. Our first flight was at 7.30am so it was going to be tight to make the 7am boarding call. He works close to the airport so the plan was that I would rise before dawn, drive to his work, pick him up, drive to Park on King and catch the free shuttle to the domestic terminal. There are a lot of steps in there and even the best laid plans sometimes go awry so the niggling feeling that the plane would take off without us was always in the back of my mind. If that wasn’t enough, we only had a 45 minute layover in Brisbane to make out connecting flight to Darwin. At this point you may be wondering why I was crazy enough to book these particular flights. The answer is simple. They were free. I booked our flights on Velocity points and while the 9.30am direct flight from Sydney to Darwin would have been perfect it was triple the points because I left my run a little late and all the economy reward seats were gone. I was not prepared to pay the premium for the ‘any seat’ option so I booked the cheaper, way less convenient flight and hoped for the best. We did take a few precautions to stack the odds in our favour of making the flight like pre-booking the car parking and only taking our new carry on luggage, but it was a gamble. Thankfully it paid off and we made both flights. That’s the very long-winded reason why we chose a Darwin taxi as our mode of transport. The short answer is because our plans were subject to change and we chose convenience over cost. The queue was short when we arrived at the rank and we were on our way in minutes. It wasn’t the flashest taxi in the world and the seats had certainly seen better days but it did the job. The fare to our hotel the Novotel Atrium was a whopping $38, well above my estimate. 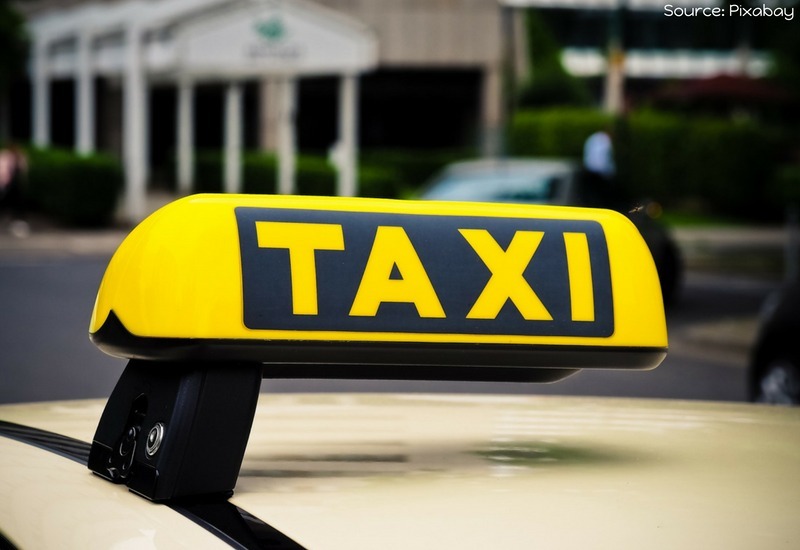 Be aware that all Darwin taxis have a flag fall of $4.40 between 6am and 5.59pm on Monday to Friday and $5.50 at night, on weekends and on public holidays. The Darwin Airport surcharge is $3 so it’s going to cost you a minimum of $7.40 before you even pull away from the kerb. That’s the cost of convenience right there. After paying a lot more for our taxi from Darwin Airport than we thought reasonable, I looked for an alternative for the return trip. Having found Uber in Manila so convenient I was a little bummed to find Uber is yet to launch in Darwin. I am assured it is not far off (late August 2018) but it didn’t help us much. So after a bit of googling I found Hi Oscar. I asked the staff their thoughts on Hi Oscar when we checked out of our accommodation at Palms City Resort Darwin and they assured me it was fine so I decided to give it a go. I quickly downloaded the app, added my credit card and ordered a car while sitting in reception. Hi Oscar offers four types of rides; Oscar, Big, Fancy and Pink (lady driver). Our car arrived just three minutes later. Yay! 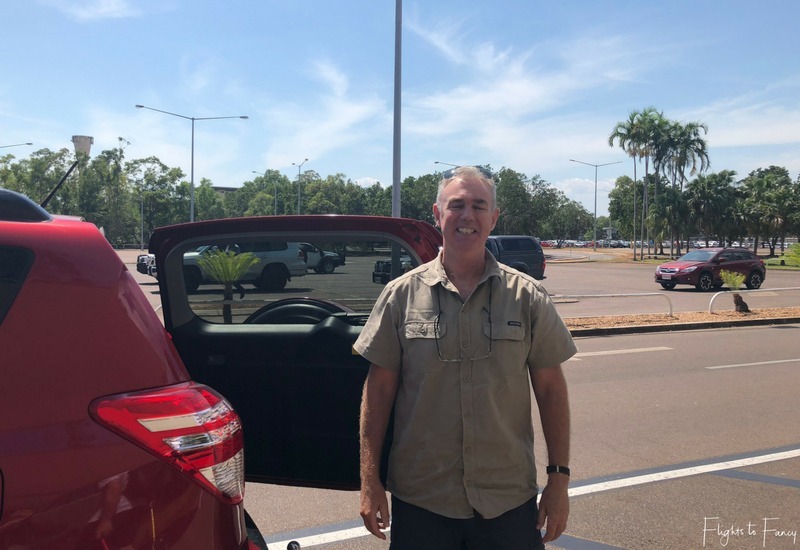 As a first time Hi Oscar user, I was curious how it all worked and I grilled our driver Gavin relentlessly on the 15 minute trip to Darwin airport. Gavin wasn’t a Darwin native, but has decent tenure in the top end after relocating from Perth 33 years earlier. His Rav 4 was immaculate, infinitely better than the Darwin taxi we rode in six days earlier. He even had a little stash of Mentos in the back seat for his passengers! The total cost of the trip was $25.66. Significantly better than the $38 in a Darwin taxi. 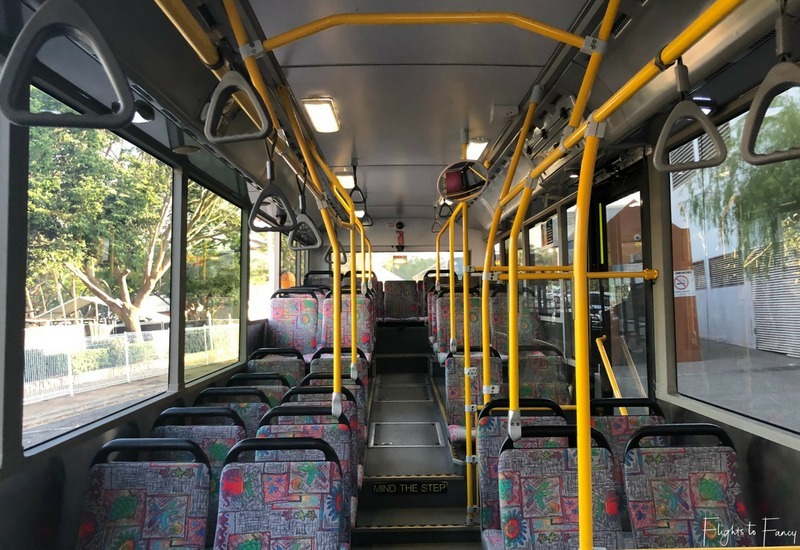 Hi Oscar launched in Darwin in February 2018 and was slow to start as there wasn’t enough drivers but there is now ample coverage. Need more reasons to try Hi Oscar Darwin? 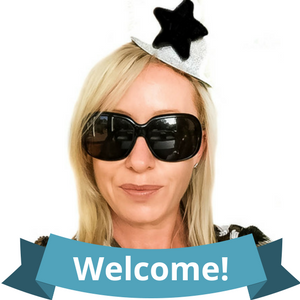 Hi Oscar is Australian owned and offers a better deal for both riders and drivers. Uber take a 27% cut of the fare where Hi Oscar only takes 15%, meaning drivers earn more on every single trip. The good news for riders is Hi Oscar has no pesky surge pricing. Regardless of when you ride the rates are all the same. In addition to Darwin, Hi Oscar also operates in Perth, Southwest WA, Alice Springs, Hobart, Launceston and Geelong. Got a large group? Never fear, you can hire a bus that will move the biggest group around Darwin with ease. Prices vary wildly depending on your needs so you will need to do a bit of searching to get the best deal. Try Transport Network Australia, Minivan Rentals Australia, Grand Touring or BusCharter.com.au. Sure Darwin may be Australia’s most laid back capital city but that doesn’t mean it can’t do fancy! If you are looking for a little more luxury for your trip from Darwin airport to the city consider a Darwin hire car or limousine. There are a number of options for Darwin hire cars. It is possible to just snag a Darwin hire car at the airport. Simply walk out of the terminal, cross the road and look for the private hire rank on the left. If there is a car available you will need to negotiate the price with the driver but it will be approx. $55 – $65. If you prefer more certainty and want to ensure you have a driver waiting you will need to book ahead. The costs vary from company to company but will be around $85 – $95 for a domestic pick up or $115 – $135 for an international pick up. The trip from the city to Darwin Airport is a little cheaper and will set you back around $65. Try Ask Daryl, Darwin Private Hire Car or Territory Limousine Services. We were in Darwin for six days and except for our road trip to Litchfield National Park and Berry Springs we mostly stayed in Darwin City where everything was an easy walk so we didn’t need a rental car for our entire stay. When we did grab a Darwin car rental we turned to our go to company Airport Rentals. Airport Rentals scour the www to find you the very best deal on car rentals which saves you tonnes of time comparing them all manually. We have used them many times and have always found them to have the cheapest rates in town. We scored a brilliant upgrade to a convertible on our road trip thorough the Great Ocean Road and we have been sold ever since. When you hire a car from Darwin Airport expect to pay around $55 a day for a compact and it rises from there. Not a bad deal when you think a taxi alone would set you back $38. Because we hired from Darwin Downtown rather than Darwin Airport we were able to get a slighter cheaper deal through Ace Car Rental. 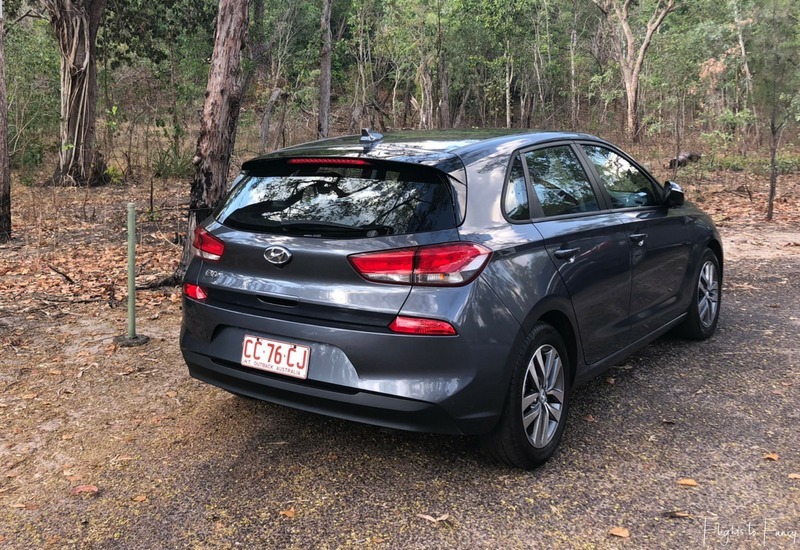 We paid $42.75 per day for our Hyundai i30. We did add the optional $27.60 for insurance but you certainly don’t have to. One thing you will need to be aware of is that your Darwin Car Rental will come with limited kilometres. I’ve never seen it anywhere else in the world but it seems to be the norm in the top end. Most are 100klms a day but Ace had a much more generous allowance of 250klms a day. This is fine if you are just going to be puttering around Darwin City but it will be woefully inadequate on the open road. We went about 100klms over at 30c per klm. When we returned the car we were told the extra charge would come through in about a week and we would get an email breaking down the cost. It’s been three weeks and neither has happened yet so I’m not sure what is going on, but I am not about to complain. 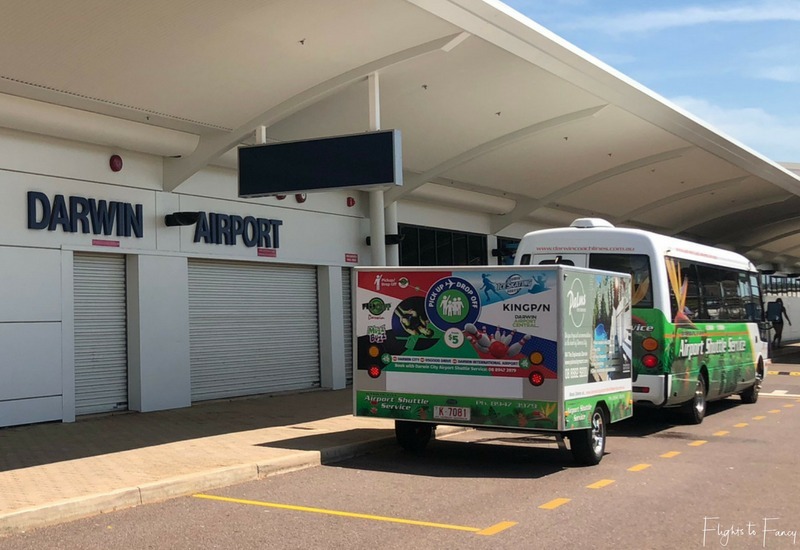 There is a shared shuttle bus that makes regular runs between Darwin Airport and Darwin City. The Darwin Airport Shuttle costs $18 per person. You can book a return ticket for $36 which offers no incentive over booking two one way tickets. The service operates 24 hours a day and will drop you directly at your accommodation. In terms of cost this is only really a viable alternative for solo travellers. Groups of two or more should consider a taxi or Hi Oscar instead. Bookings can be made online or over the phone and the shuttle picks up and drops off directly in front of the terminal building. Unlike my hometown of Sydney, Darwin public transport is rather limited. In fact you only have one choice; the bus. You can get into the city from Darwin airport on the public bus. I wouldn’t really recommend it, but it is possible. If you are keen to give it a go make sure you check the timetable because there are only a handful of buses every day. If the universe has aligned for you and you flight coincides with one of the buses, exit the terminal and walk 8 minutes to Charles Eaton Drive. Catch the #3 bus to Casurina which will take about 25 mins. Buy your single use paper ticket on the bus (cash only) for $3 ($1 for concession card holders) which is good for 3 hours of unlimited travel. 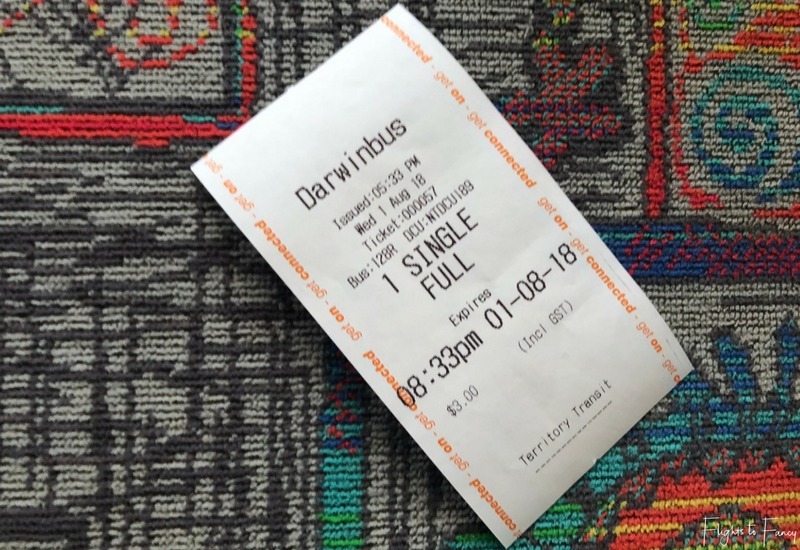 Switch to bus OL2 for the 30 minute trip to Darwin City and use the same ticket. The #10 bus will also get you to Darwin city but takes about 45mins. Going to the airport do the same in reverse except catch OL1. While I didn’t do the airport run on the public bus, we caught the #14 bus to dinner at Yots Greek Taverna in Cullen Bay. We found Darwin’s public buses to be clean, modern and reliable. This one is a long shot for most visitors to Darwin. You have to be staying at either the Novotel Darwin Airport Hotel or the Mecure Darwin Airport Resort to avail of the Accor free airport shuttle but if you are one of the lucky guests, you would be mad not to take up the offer. Disclosure Statement: This post is not sponsored. I paid for my transfers from Darwin Airport in full. The information in this article is based on my own personal experiences and has not been influenced in any way by the brand(s) featured. This post may contain affiliate links which if clicked may earn me a small commission on purchases at no extra cost to you. This is a great post and with a lot of helpful information and I have actually forwarded your post to my friend who will be there next month. When I travel I always try to take the shuttle service or hotel bus services when I travel, but I’m like you, my flights are always the first priority, unfortunately, I tend to leave airport transfer until the day before and occasionally this has backfired and I’ve been charged crazy Taxi prices. Wow, thanks a lot for the detailed overview, there are really many options for airport transfer available! I think that planning the transfer can be really complicated and confusing at times, so your article is absolutely helpful! Thanks for sharing with us! 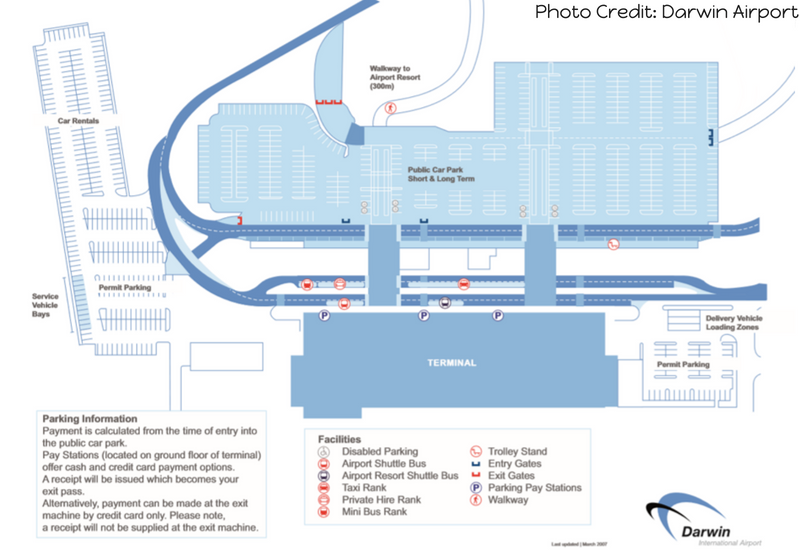 You’ve shared a great deal of helpful information for anyone travelling to Darwin Airport. 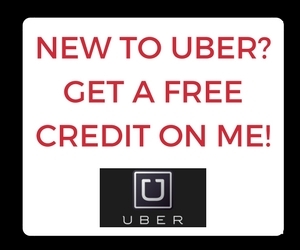 Uber is generally my all-time favourite for their great and inexpensive service. Hopefully it will be launched in Darwin soon. I like the ride share option of Hi Oscar for being cost effective. 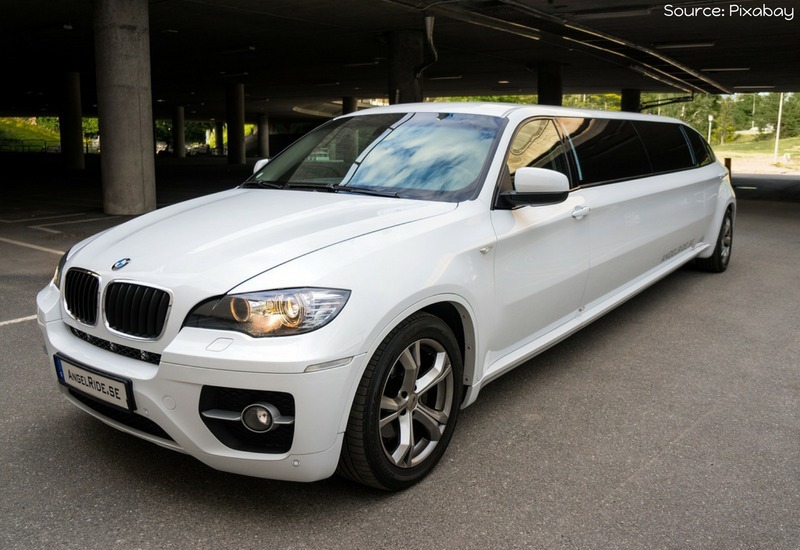 But I would also love to experience the Limousine service from Darwin Car Hire. Who knew there were so many viable options to get from Darwin Airport to Darwin City? (And, it’s those unexpected upcharges like your taxi experience that can derail the best planned budget.) I appreciate your thorough and savvy coverage of transportation options from the airport, and especially your insight on negotiating the Darwin Hire cars prices. Thanks! Aah its a pity that they don’t have Uber yet in Darwin because I usually find it the most convenient and inexpensive way to move around. I am not a fan of taking buses though they’re cheap, unless you’re in a big group, because of the extensive time taken to get to your destination, with multiple stops in between. I remember using an app in Bali which cost me less than $1 for a ride to the airport from my hotel in city centre! Thank you for such extensive info on all options available at Darwin Airport, this is valuable for someone travelling to that airport. I wish I knew all of this when I went to Darwin! Even though it was a couple years ago I think this would have been very helpful. I can’t really remember how I got to the hotel but I think I played it safe and took a taxi. I’m definitely sold on the Hi Oscar rideshare mode of transport. It sounds like the drivers get a lot from it, and it’s good that the prices stay the same. I’ll leave the limos; they’re a bit cheesy! Thanks for sharing many Airport transfer options from Darwin. As airport transfers are always very confusing and there is not much information but you have mentioned all the prices through which we can plan our pricing. Darwin Taxis looks expensive especially during late night and early mornings. It is good that Novotel offers free shuttle services. I always wait until a day before travel to figure out how to get from the airport to my hotel too! Darwin’s taxis sound quite pricey but they are convenient. I’m glad to hear both ride shares and shuttles are available. Thank you for listing so many options!